In this inventive, short, yet perfectly formed novel inspired by traditional Norse mythology, Neil Gaiman takes readers on a wild and magical trip to the land of giants and gods and back. In a village in ancient Norway lives a boy named Odd, and he's had some very bad luck: His father perished in a Viking expedition; a tree fell on and shattered his leg; the endless freezing winter is making villagers dangerously grumpy. Out in the forest Odd encounters a bear, a fox, and an eagle--three creatures with a strange story to tell. 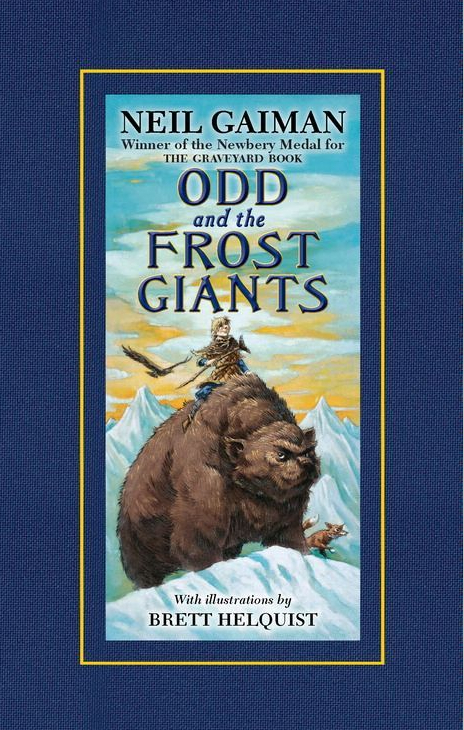 Now Odd is forced on a stranger journey than he had imagined--a journey to save Asgard, city of the gods, from the Frost Giants who have invaded it. It's going to take a very special kind of twelve-year-old boy to outwit the Frost Giants, restore peace to the city of gods, and end the long winter. Someone cheerful and infuriating and clever . . . Someone just like Odd . 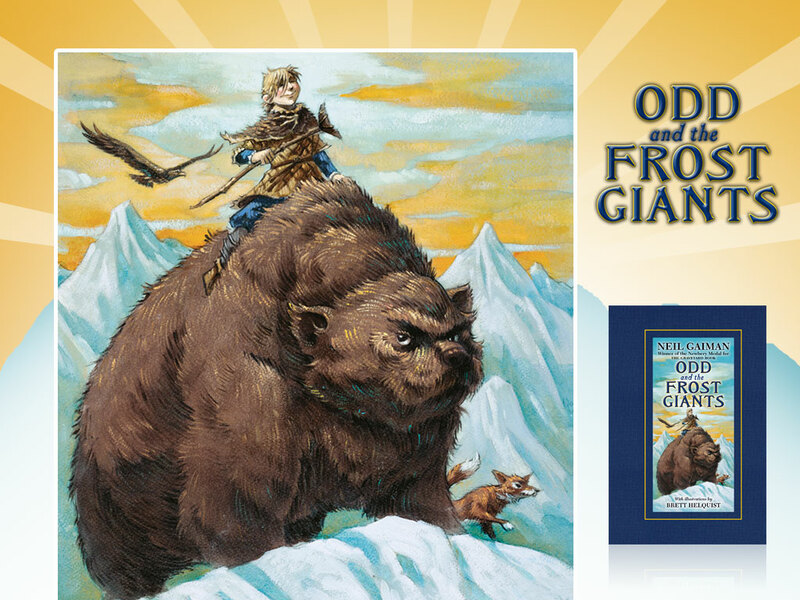 Preview Odd and the Frost Giants! Listen to an audio excerpt read by Neil Gaiman! 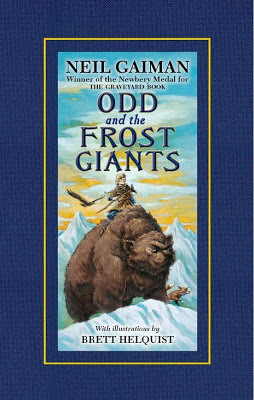 Odd and the Frost Giants is a great, light read with an endearing main character and clever writing and dialogue. The Norse mythology is folded into the story perfectly with tidbits occasionally poking out that stir your memory or tempt you to learn more (about the mythology). The solution to the problem is satisfying and beautiful and simple and I'm so glad that Gaiman has said there will be more Odd in the future! In the story, Odd has a "side of smoke-blackened salmon". 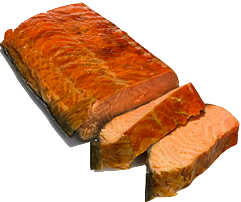 So here's a recipe for smoked salmon with a blackening rub (though it's not called a blackening rub in this recipe, but other recipes use these same ingredients to make blackening rub). Did you know there is cold-smoking and hot-smoking? The difference is the brining process and the temperature during smoking. Hot-smoked, or kippering, is cooked all the way whereas cold-smoked is partially cooked, mostly through the brining, and then must be kept frozen for parasite control. I'm going to say that the side of salmon Odd took was hot-smoked because he pulled it down from the rafters in his home, not from the snowbank outside. Also mentioned in the story is trout roasted over a fire and a feast with goose (because it's Christmastime, here's a recipe for a roasted Christmas goose) . Also, check out these comic pages and artwork drawn by Jouni Koponen based on Odd and the Frost Giants! Jouni was inspired by Odd back in 2008 when Neil posted parts of the story online.